What is the purpose of the Shelf Bins? 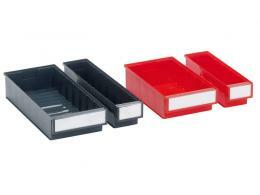 The shelf bins are made to help someone organize smaller items. 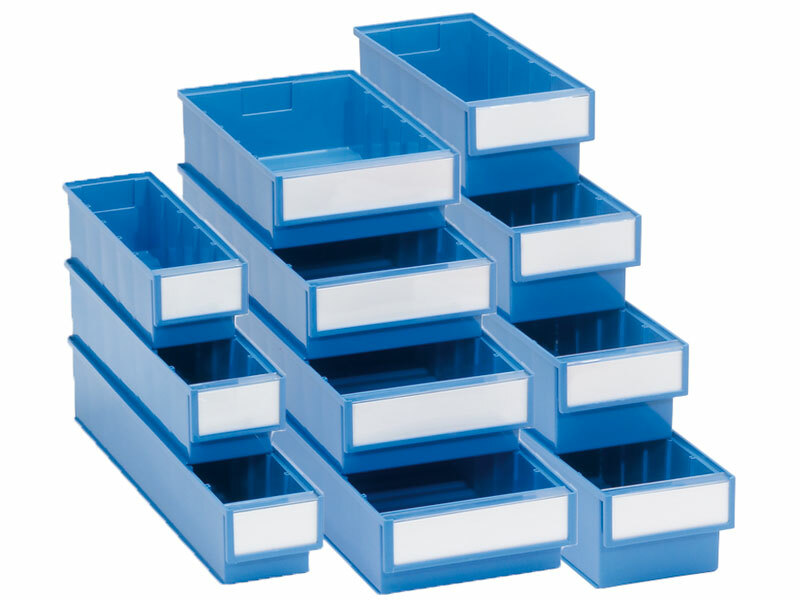 They come in different lengths and the shorter ones stack on top of the longer ones, creating an easily accessible array of drawers. They also come in several different widths so someone can store plenty of items in them. They are perfect for storing things like different types of screws, accessories, or any other type of smaller items that need to be organized. 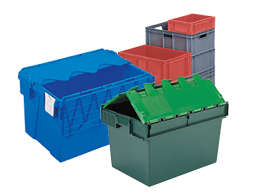 The bins that stack on top of the lower ones are shorter as well, so the front of the lower bin is exposed and the items inside can easily be reached by hand. They also come in different colours so different items can be organized that way, but each bin has a label on the front of it as well. They are perfect to keep on an office desk or in a shop. This product can be used anywhere that someone needs to keep track of smaller items that may get lost if they are left in the open. If a shop owner needs to make sure all of their screws are in order and organized properly, they can use these shelf bins to arrange them in a way where they know exactly where everything is at all times. They could also be used in an office on top of a desk to organize things like sticky note pads, paper clips, pens, pencils, and other things like this. Because they are easy to reach inside, it's simple to grab whatever is needed instantly. The people who are most likely to use this product work in offices or shops that involve the use of smaller items. 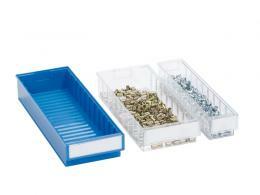 Screws, smaller tools, and many other things can be organized in them easily. They may even be used in a doctor's or dentist's office to help them keep track of the disposable tools they use on a daily basis. There are many useful situations where the shelf bins can be used, even at someone's home. Someone may want to organize their bracelets, necklaces, rings, and other accessories on their dresser. The shelf bins come with a 1 year parts and labour warranty. They are also made out of propylene plastic so they are easy to clean and resistant to chemical corrosion and temperature damage.